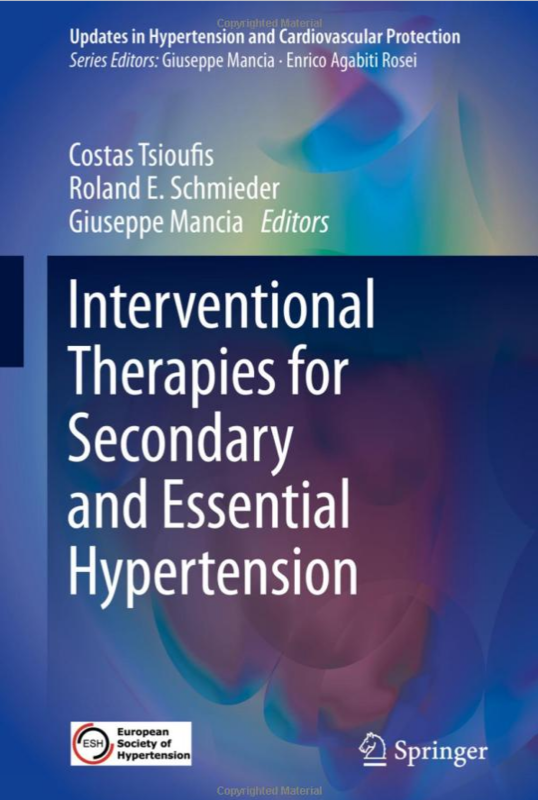 This book aims to describe the role of interventional therapies in various forms of secondary hypertension and to explain the ability of such approaches to address unmet needs in the setting of uncontrolled essential hypertension. The coverage encompasses interventions in the full range of relevant conditions, including the various specific pathologies responsible for secondary hypertension, such as renal artery stenosis, coarctation of the aorta, and adrenal tumors. In each case, up-to-date information is presented on indications, procedural aspects, and patient follow-up. A further focus is the most recent knowledge on the use of invasive neuromodulation, such as renal sympathetic denervation and baroreflex stimulation. The text is supplemented by helpful explanatory diagrams and treatment algorithms. A comprehensive clinical guide of this nature as to date been absent from the literature. 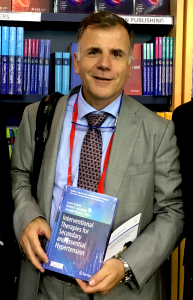 The book will be of interest to clinicians managing hypertensive patients, researchers investigating advanced hypertension management, and students on cardiovascular courses. Costas Tsioufis is Associate Professor of Cardiology in the 1st University Cardiology Clinic, Hippokration Hospital, Athens, Greece and Head of the Hypertension Unit of the same institute. He is currently secretary of the European Society of Hypertension and president elect of the Hellenic Cardiological Society. Professor Tsioufis research interests include hypertensive target organ damage with specific interest in microalbuminuria and renal dysfunction, left ventricular hypertrophy and arterial stiffness. He has a special interest in the novel interventional therapies of hypertension and he is involved in major clinical trials regarding renal sympathetic denervation. In the field on Interventional Cardiology, his research has been focused on the assessment of coronary blood flow reserve and the pathophysiology of the vulnerable atherosclerotic plaque. Roland Schmieder is a Professor of Internal Medicine, Nephrology and Hypertension, Head of the Clinical Research Centre of the Department of Nephrology and Hypertension at the University Hospital Erlangen, Germany. He also directs the Institute of Preventative Medicine at the University Erlangen-Nürnberg and the Community Hospital Nürnberg. He has served as council member and vice president of the European Society of Hypertension and is currently a member of the Council of the International Society of Hypertension. Professor Schmieder has extensive experience in the execution of human clinical trials and his research interests include nephrology, hypertension, diabetes, non-invasive cardiology and vascular medicine. He is an advisor and steering board member of several European and international multicenter studies. Giuseppe Mancia is Professor Emeritus of the University of Milano-Bicocca and served as Professor of Medicine and Head of First Division of Medicine at the San Gerardo Hospital, Italy. He is executive officer of the European Society of Hypertension and Chair of the ESH Educational Committee. Prof. Mancia has served as President of the European Society of Clinical Investigation, as President of the Italian Society of Hypertension and as President of the European Society of Hypertension, the International Society of Hypertension, and member ‘ex officio’ of the Executive Scientific Council of the American Society of Hypertension among other. Dr. Mancia’s research interests are pathophysiology, diagnosis and therapy of hypertension, heart failure, coronary and other cardiovascular diseases. His expertise includes ambulatory blood pressure monitoring, neural control of the circulation, large artery mechanics and clinical trials.